Chanukah cooking centers on one main thing: oil. And when we hear that one tiny word, we might shudder in fear. What about the damage those irresistible doughnuts, latkes, all the fried this and that will do to the healthy lifestyle we've been striving for? It's OK. Indulge a bit. The smells and tastes of our holiday foods are like the pages of an old photo album, conjuring up delicious memories as we come together again to create new ones. When I hear the word oil, a very recently created memory comes to mind. Our first winter here in Israel, we spent a couple of days exploring the North of this magnificent Land. Up Highway 90 to the western shore of the Kineret, we picnicked by the water's edge then wound our way into mountainous vistas and past Tsefat. The drive itself was stunning but our destination was to a beautiful tzimmer near the kever (tomb) of Rabbi Shimon bar Yochai. A tzimmer, Yiddish for "room," is actually a 1-2 room cabin with kitchenette and always, always, a jacuzzi (sometimes in the living room!). They dot the country on moshavim and farms where each usually provides a unique amenity. These particular tzimmerim are nestled on the side of a hill on a family farm with a wonderful view of the valleys below. Originally owned by a real Israeli pioneer and bequeathed to his four sons, the farm is flourishing with orchards, vineyards, cattle and a new winery. What better time to bring out the olive oil than Chanukah? "Shemen Tov" and an herb mix for olive oil that also seasons chicken, fish and salad dressings. Bright jewels hung on branch after branch, tree after tree, their leaves whispered the utter joy of our joining them in the warm breeze. Hillel is very proud of the farm's production and even though his English was about as good as our Hebrew, he managed to communicate the honor he felt to work the land G-d gave us, and to work with Hashem to bring beautiful, delicious and health giving foods to His people. Especially when it come to his olives. 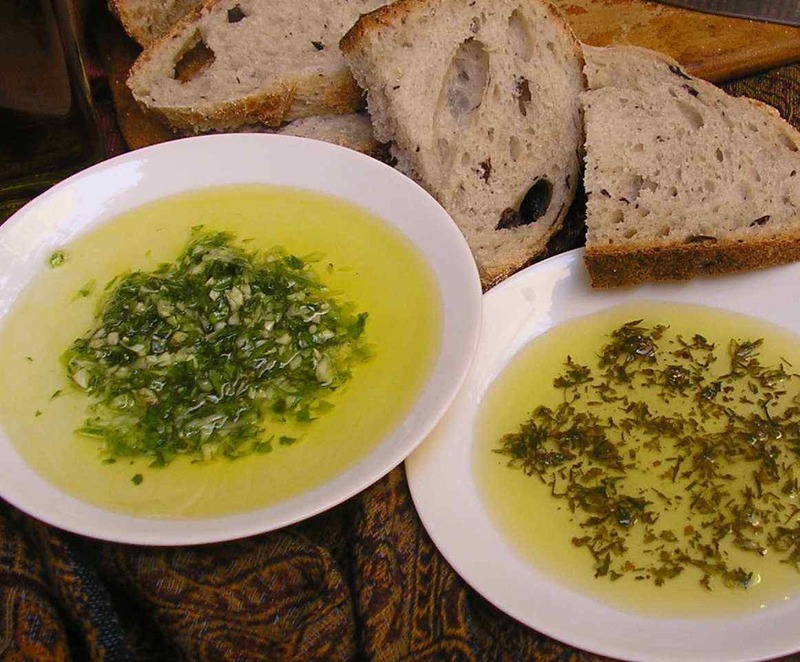 Olive oil production, because of its recent rise in popularity for its varied health benefits, has skyrocketed in Israel and our olive oil is one of the world's most favored. The beneficial health effects are due to its high content of both monounsaturated fatty acids and antioxidative substances. beneficial effect on ulcers and gastritis and lowers the incidence of gallstone formation. 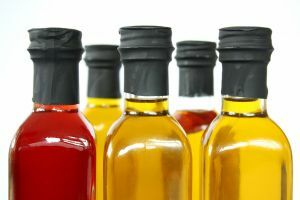 Replacing olive oil for much of the fat in our diets may even help prevent breast cancer, ovarian cancer and colon cancer. Perhaps because I couldn’t resist Hillel's pride and excitement, not to mention buying directly from the farm was a real bargain, we left the farm with a 20 liter gerry can filled to the brim. It truly was the most delicious olive oil I have ever enjoyed. Hillel reminded us that when the When the Beis HaMikdash stood, olive oil was the prize energy source of the world and Israel's leading export. It was food, medicine and fuel for cooking, warmth and light. 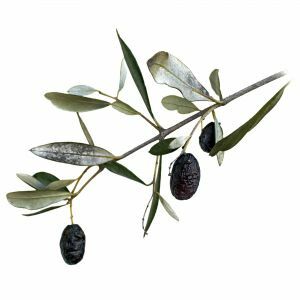 Olive oil was probably the most important commodity in the world during the time period of the Chanukah story. Today, oil of a different sort dominates the world's economy. Tiny Israel is surrounded by huge petroleum oil-producing countries, which threaten to extinguish the light of the Jewish People. On Chanukah oil ~and especially olive oil~ reminds us of the miracles that have saved our nation time and time again from being extinguished. Miracles brought about by tapping into the true energy source of Israel: our eternal dedication to learning Torah. Thank you for being a part of this new venture.